Written by Jean Hinman on November 3rd, 2017 June 21st, 2018 . The Special Needs Ministry of the Archdiocese of Kansas City in Kansas is happy to announce that our Respite Care program has begun! Funded by a grant from the Kansas Department of Aging and Disability Services, the Respite Care Program offers families who have a child with a disability a break from caregiving! The Respite Care program takes place at Holy Cross School in Overland Park. It is held from 4:00 p.m. to 8:00 p.m. usually on the last Saturday of the month with a few exceptions during the holidays. We have wonderful staff and volunteers, several of whom are professionals in the field of special education or a related profession. All are caring and compassionate. We have a registered nurse on staff as well as a program coordinator, and coordinators for art, music and recreation activities. We invite you to take advantage of this program and to inform other families you may know who would benefit. For more information, including the dates of upcoming respite care evenings, and/or to register, go to www.archkck.org/specialneeds or you may call Audrey Amor, our Respite Care Program Coordinator at 816.739.1197. She is a teacher so she may not answer during the day. Leave a message and she WILL call back. Audrey will fill out the registration form over the phone and visit with them about the specific needs of their child!! Written by Jean Hinman on September 17th, 2016 April 25th, 2019 . Support local bans on single-use plastic bags and Styrofoam. Avoid microbeads: Tiny plastic particles, called “microbeads,” are a growing source of ocean plastic pollutition. Microbeads are found in some face scrubs, toothpastes, and body washes, and they readily enter our oceans and waterways through our sewer systems. Avoid products containing plastic microbeads by looking for “polythelene” and “polypropylene” on the ingredient labels of your cosmetic products. YOU CAN HELP COUNTERACT A THROW AWAY CULTURE! Click Here for “Do One Thing Video” to help understand how everyone doing one thing can change our world for the better and help all of us conserve and be responsible for our Earth. Your Ascension Volunteer T-shirt, or pick one up at the park! There are plenty of open and easy-to-navigate park and trail areas for all ages to participate in cleaning. However, if you’re willing to clean around streams and more heavily wooded areas, consider wearing long pants and sleeves and bringing bug spray. Parents must supervise children at all times. Written by Jean Hinman on November 3rd, 2015 April 24th, 2017 . Corporal Work of Mercy: Feed the hungry! Drive is held the Sunday before Thanksgiving! We give to teachers at our Lady of Unity, and needy families in our parish and beyond! Written by Ray Martin on April 5th, 2015 April 16th, 2019 . Our Archbishop himself in an address at the March for Life said, “If you see only one movie this year, you should see the movie Unplanned”. The movie, Unplanned, is a story about Abby Johnson, a former Planned Parenthood clinic director who basically had a conversion after witnessing an ultrasound guided abortion. Here is a link to watch the trailer. Mary, we pray today for all mothers who are afraid to be mothers. We pray for those who feel threatened and overwhelmed by their pregnancy. Intercede for them, that God may give them the grace to say yes and the courage to go on. May they have the grace to reject the false solution of abortion. May they say with you, “Be it done according to your word”. May they experience the help of Christian people, and know the peace that comes from doing God’s will. Ascension’s Pro Life Ministry is forming a team with Life Runners. At life runners.org, on the sign up page (liferunners.org/join) there is an option to choose a chapter and from that drop down you will see Church of the Ascension listed as a chapter. Fill this out. Then after you have registered, you can buy a shirt. Please alert jean at jhinman@kcascension.org when you have registered. 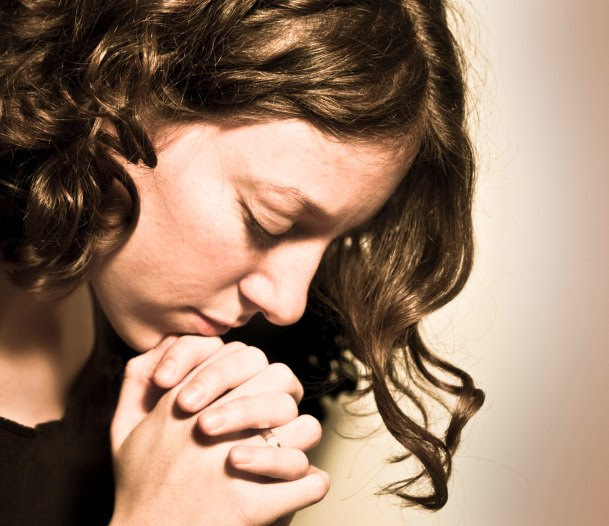 The MISSION: Prayer and teamwork to cross the finish line that ends abortion. VALUES: Keep the Faith, Respect Life from Conception to Natural Death, Run so as to Win. TEAM: Teammates ages 1 to 101 in all 50 states and 35 nations. Running optional. Faith required. We believe in the dignity of all human life from conception to natural death. We run as a Prayer, to defend children in the womb, so that they may be born and united with our Christian community. We run to build Endurance, for the race is long and we must keep our eyes fixed on You Lord. We run for Awareness, so our culture will view all human life as a reflection of Your glory Lord. We run for Charity, to provide support for mothers and fathers tempted to abort their child, and healing support for post-abortion women, men and families. We run to End abortion, for Christ died so that all may live. Guard us all, born and unborn, with Your PEACE, Lord. For in You, life is victorious. We pray and run in Your name, Jesus Christ. Amen. 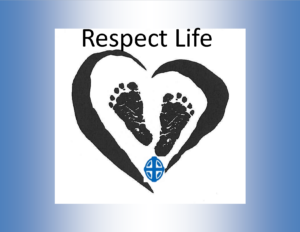 The Respect Life Ministry has one weekly hour of Adoration. Our hope is that volunteers will sign up as an opportunity to pray for all LIFE issues. The time is every Saturday from 4:00-5:00 p.m. This is a opportunity to be with Christ peacefully – either alone or as a family! The Respect Life Ministry, along with the Knights, are sponsoring The Baby Bottle Boomerang to raise needed funds for the Wyandotte Pregnancy Clinic and Advice and Aid. The clinic, sponsored by the Archdiocese, provides services at no cost to women and families dealing with an unplanned pregnancy (and that care can continue for the first few years. PLEASE use this as an educational opportunity for your family to discuss how this donation helps families and helps save babies! We have a hidden jewel in our Archdiocese. We have an adoption agency located in KC, KS that has an excellent record of finding babies for adoptive parents. Currently, the average wait time for approved prospective parents is only seven months. St Joseph Adoption Ministry has been placing babies with Catholic adoptive parents across the nation since 2001.Sister Dolora May is the executive director They have developed a national network with adoption professionals which affords them with access to babies born across the United States. They could place more babies if they had more prospective parents!! This is truly a hidden jewel. For more information on SJAM go to their web site at www.CatholicAdoptionMinistry.org . Please spread this good news! LIFE CHAIN: (1st weekend in October) is a nationwide peaceful, prayerful hour of prayer on public sidewalks supporting the dignity of and right to life. We support the Gabriel Project also.The Gabriel Project is a ministry providing help to pregnant women in need. A “Good Samaritan” approach towards helping women in a crisis pregnancy. Written by Ray Martin on December 14th, 2014 December 17th, 2015 . 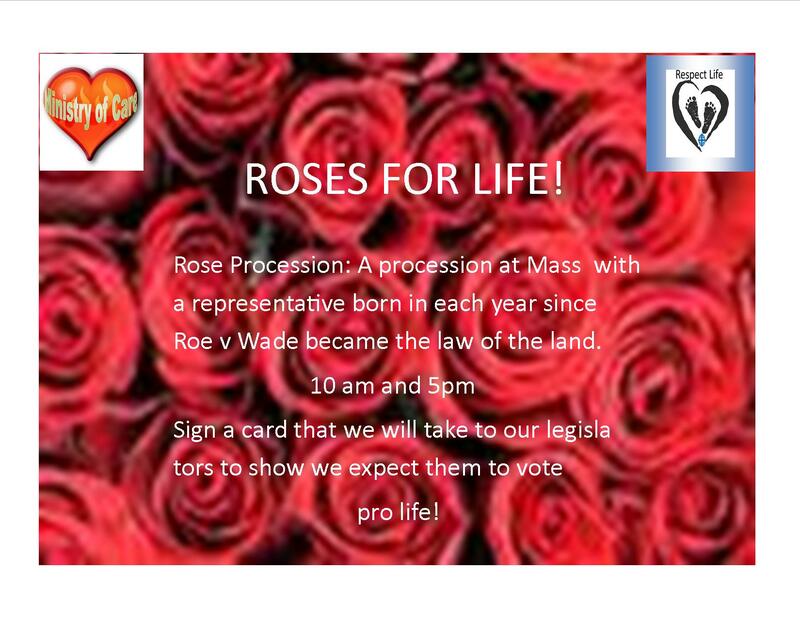 Roses for Life: Paper Roses will be available for parishioners after all Jan 17th Masses with a request for all registered voters to fill out the slip of paper attached. The”roses” are brought to our state legislators during the March for Life on Jan 22nd to show our support for LIFE and ask that they vote pro-life. This is a very visible sign for our legislators to help show we stand for LIFE! Written by Ray Martin on September 26th, 2014 December 1st, 2014 . Each Monday Morning one of our ministry members will work from a check sheet to tidy up the church. A typical day is started in the Parish Office picking up our cart (full of items that may need restocking in the areas we tend to) and check sheet. We then check around areas in the church to see if there is anything that looks out of place of needs tidying. Areas of concern are the Gathering area, cry room, Bride’s room, Bathrooms, Sanctuary and Sacristy, Adoration Chapel, Adult Community Room, Adult Faith room and the Reception area. Supplies are then inventoried and the cart is restocked. When we return to the Office we review the needs of supplies and notify any maintenance issues we find. 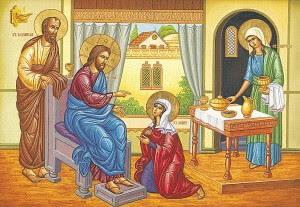 Monday Morning Marthas is a great honor, making our Church, community room, and faith rooms neat and pleasant for those we extend a welcome to! Contact Jean Hinman with any questions or for further information on how to get involved at jhinman@kcascension.org. Written by Ray Martin on September 26th, 2014 July 20th, 2018 . The Archdiocese offers a weekend retreat called “Beginning Experience” for widowed, separated or divorced people. More info on their web site. A program to Help Couples Heal and Renew their Marriages. Does talking about it only make it worse? … Retrouvaille provides marriage help! Divorce is a detour, not a dead-end. Divorce is so difficult. The foundation on which you built your life has now crumbled beneath your feet. You are searching for peace, for truth, for hope. We invite you on a journey back to a life filled with promise and peace. Allow Christ to walk with you as you rediscover His healing and rejuvenating power through the wisdom, richness, and truth of your Catholic faith. Faith and courage are needed to rebuild life after the end of a marriage. You are encouraged to seek help from good people who have learned how to move ahead with rebuilding their lives. Peer support groups, professional counseling, and kind people in your faith community are likely places to seek out support. If you are a single parent, seek help from other single parents. Attend parent education opportunities through your local grammar school, high school, park district, or library. Never speak ill of the other parent in front of the children. If you are co-parenting, learn to share the children in a kind way. Do not punish the other parent and do not punish the child for the relationship they have with the other parent. Every time you talk poorly about the other parent, you inflict deep pain in the child. Children whose separated or divorced parents continue to argue and fight have the greatest harm inflicted on them. If you are divorced, attend peer support groups, seek effective counseling or coaching to help you manage the changes in your life. Written by Ray Martin on September 26th, 2014 April 10th, 2019 . To glorify God by promoting spiritual growth, stewardship, fellowship and friendship among all women of the parish. please contact Mary Connor at 913-579-3287 or at marykconnor@yahoo.com. Join us for a fun, relaxing evening of friendship & painting. A local artist will lead us to create our masterpieces! Wine, snacks & desserts will be provided. Please RSVP by Tuesday, April 23rd. Written by Ray Martin on September 26th, 2014 August 6th, 2018 . MOYC provides all Ascension Catholic mothers with children of second grade age and younger with spiritual enrichment to strengthen faith and friendships through fellowship, prayer, family activities and community service. We encourage and welcome all mothers of young children who are interested in fostering Catholic values and traditions in their families to join with us. MOYC meets the first Thursday of the month at 7:00pm. Please contact Colleen Stack at 913-231-1672 or colleenksu@gmail.com or Mandy Uhlmansiek at 602-790-2781 or amanda.uhlmansiek@gmail.com. Membership is only a few clicks away! Mothers of Young Children (MOYC) provides all Catholic mothers of children of second grade age and younger with spiritual enrichment to strengthen faith and friendships through fellowship, prayer, family activities and community service. We meet for fellowship, faith and friendship on the first Thursday of the month at 7pm in the lower level. Each month we will have an activity or a speaker relevant to mothers raising Catholic families. Our faith and spirituality are the guiding principles of MOYC’s mission. We value building friendships with Catholic moms and expecting moms through prayer, reflection and discussion. During the monthly meetings, we offer prayer, bible study and rosary group. We also participate in Adoration and monthly Moms at Mass. We encourage and support other faith-filled experiences within our parish as as well. Our adult activities provide an opportunity to gather for more friendship and fellowship in various locations around town each month. Join us for good food and great times! Playgroups are organized into small groups based on your children’s ages and are hosted in various members’ homes or your playgroup’s choice. Please contact the playgroup chairperson to join! Children’s outings are open to all members each month and provide another opportunity to build friendships while visiting a wide variety of places and events throughout the area. Activities are organized to accommodate both stay-at-home moms’ & working moms’ schedules. We host two children’s parties for MOYC families each year—Halloween and Valentine’s Day. These are a great opportunity for families to celebrate together. MOYC also hosts the parish-wide Advent Family Festival and Easter Egg Hunt, giving our time and talent to the parish community. Each June we host a one-week miniature vacation bible school for MOYC children. Each day we meet for one hour in the lower level for a bible study, songs, crafts and snack. MOYC engages in various community service projects each year to support other mothers, our parish and our community. New moms and those dealing with unexpected situations within the group receive meals from other MOYC moms. We also encourage and support various groups within our area specific to mothers, young children and families. MOYC is in charge of coordinating, prepping and setting up the Kids’ Korner area at Mardi Gras, our parish-wide fundraiser. We also support the annual Parish Picnic.